How does the SSA evaluate my job history for a disability claim? Why Hire a Local Lawyer to Represent You for Your Disability Claim Hiring a local attorney to represent you for your disability claim just makes good sense. When filing for Social Security Disability Income (SSDI) benefits because your medical condition makes it impossible for you to work, you’ll need to provide a work history with your application. In general, the Social Security Administration (SSA) wants to know about all of your past employment and the tasks you had so it can determine if you're still able to do any of that work. To make a determination, the agency needs to know the details of your duties and the skills you used to do them. It’s important to remember the SSA won’t rate you as having a disability unless your medical condition or injury prevents you from doing your past job or your ability to adjust to other work. So, the SSA looks at the demands and requirements of your recent employment and compares them with its assessment of your current ability to do work tasks now. The SSA will also want you to explain how you changed your job duties or presence due to your medical condition, injury, or illness. For example, if you worked fewer hours, took more sick leave, rested during the day, or took frequent breaks, the SSA needs to know all these details. Additionally, if the SSA determines you can’t do past work, the agency considers at your education, age, training, and work experience to see if there are other jobs you may be able to do. 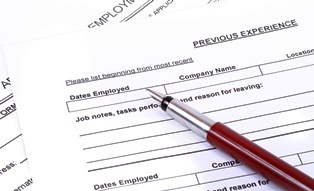 It’s important to fill out your work history report accurately when applying for disability benefits from the SSA. Because this can be a tedious and challenging process, you may feel uncertain about what to include and which details are necessary. Contact a skilled SSDI benefits attorney who can help. Call Cuddigan Law for a free, over-the-phone evaluation.